This area has been placed on the National Register of Historic Places and is recognized as the Muskingum River Navigation Historic District. This area encompasses the 112 mile Muskingum River Water Trail and is the longest navigable river lying wholly in Ohio. The hand operated locks along the waterway have not inhibited its natural qualities; the river is home to abundant fish, birds, and wildlife. Along the river there are ample amenities for through-boaters and day-trippers alike. 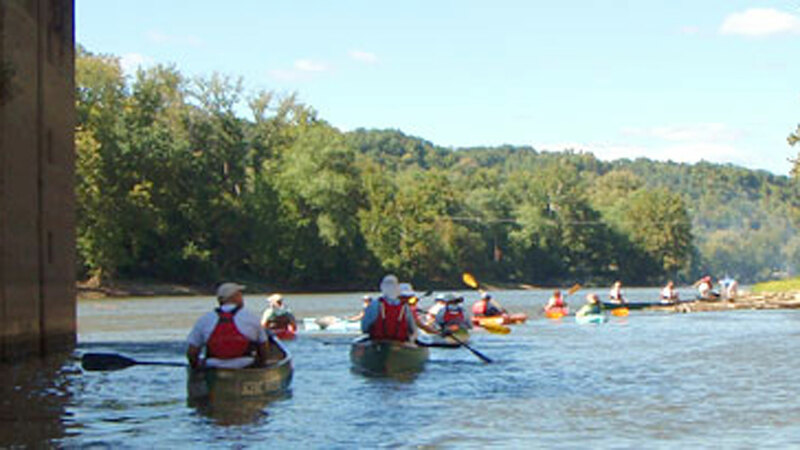 The Muskingum River is navigable from Dresden to Marietta by canoe or kayak however for a motorized boat -  Riverside Park is the ramp to utilize for the longest water route. Call the park office to check on river conditions and lock conditions prior to departure. There is camping, picnic area, restrooms, parking, docks, drinking water, launch ramps, carry-in access, gas, birding trails, parks, and food available along the water trail.